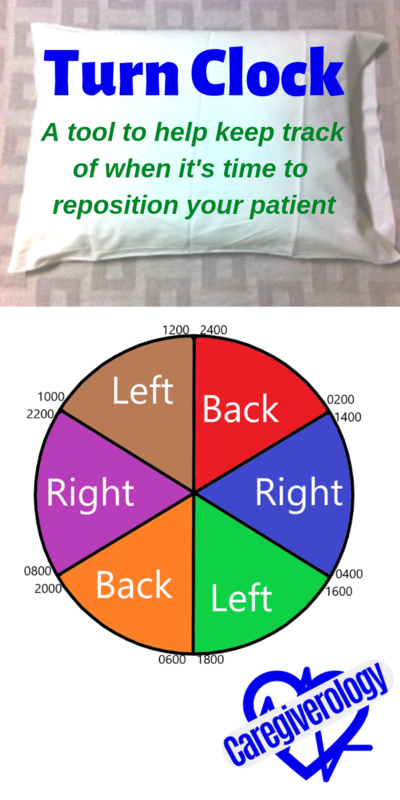 Repositioning your patient is very important if they are on bedrest. Not only should you do it to make them as comfortable as possible, it is also the most important thing you can do to prevent and treat bed sores. It may sound difficult, but for most patients, it is quite easy. Some may require two people or more in order to be situated properly but most of the time, it is a one man job. I've used what is considered a wedge for some patients but usually, pillows work just fine. There are many different parts of the body that can be repositioned but perhaps the most important part is the buttocks. That is the primary spot for bed sores, especially if they are incontinent. Simply turning them can remove this factor if done often enough. The concept is simple. Turn your patient far enough onto their side so a pillow can be put underneath their hips so they will lean towards the other side removing pressure from underneath. The pillow doesn't have to be far underneath them, just far enough to put pressure off of their sacrum, which is the bone in the middle of their buttocks. If the bed has rails and they are able to grab one of them and assist you, that makes the process even easier. If not, you may have to grab your patient's shoulder and hip, then slowly and gently turn them onto their side. Make sure you talk them through what you are doing. An incontinence pad can make this even easier. How? 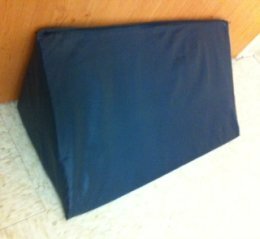 You can pull the pad up and over on one side to assist the patient onto their side leaving room to tuck a pillow underneath. You want their back to be properly aligned with their hips in order to prevent back discomfort or even injury. 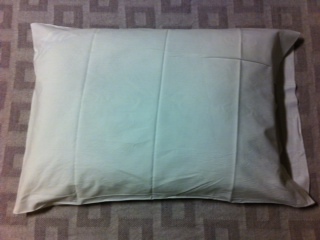 For smaller patients, one pillow will support their hip and back. Larger patients may require two pillows, one for their hip and one for their back. Other places to put a pillow would be between the knees, under the arms and shoulders, and under the legs. Although heel protectors are recommended to prevent bed sores on the heels, I have often placed a pillow under the legs in such a way that the heels don't touch the pillow, but hang over it. This isn't as effective, but if heel boots aren't readily available, it is an option. You should do this for your patient every two hours. Some caregivers say four is enough for some patients but when in doubt, every two is best. Why not just once and call it a day? Because although it may take a little bit longer, a bed sore can form on the hips of your patient too. The constant moving is what keeps any spot from getting too much pressure. 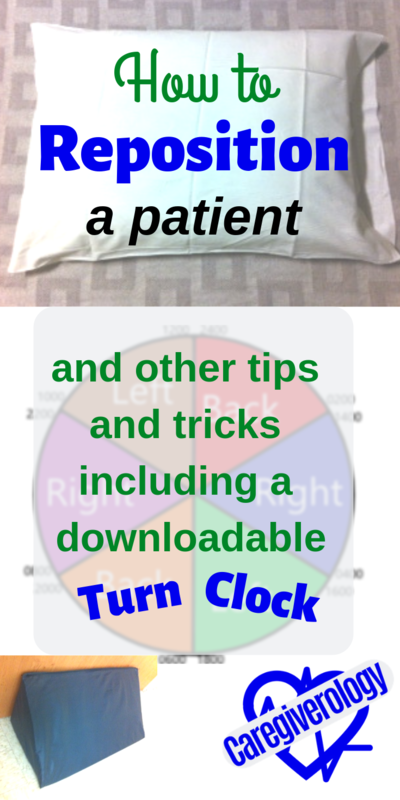 Turn the patient every two hours to the corresponding position. Time is expressed in military format. 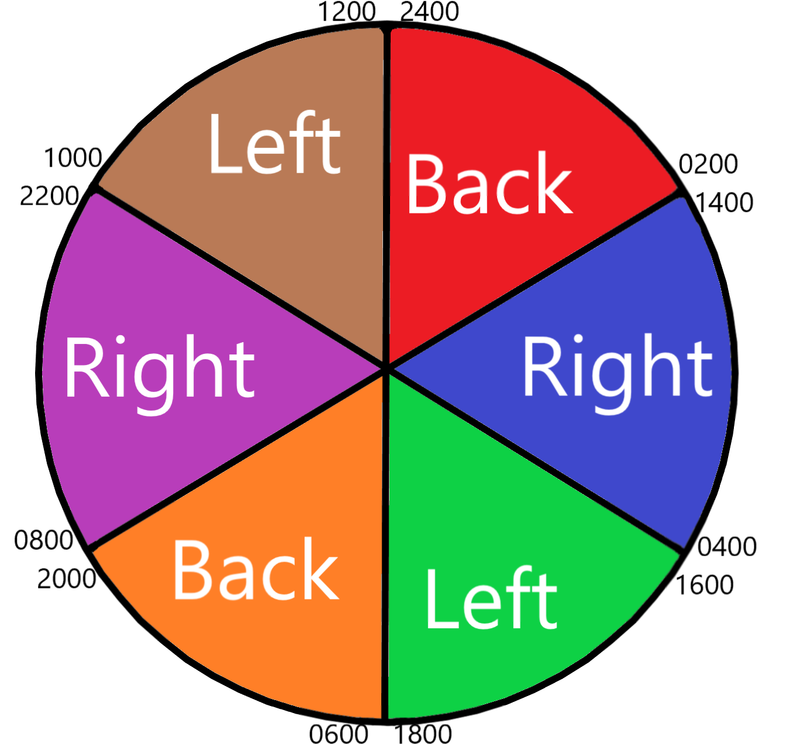 Example: At 0600, the patient is repositioned from their left side onto their back. Repositioning should also be used to make your patient more comfortable. Just make sure if they recently had an injury or surgery, you are not putting it at risk. One example would be patients with recent hip surgery. Putting a pillow under their hip, regardless of which side, is probably not a good idea. If it is uncomfortable for the patient, there is a good chance it isn't good for them. Look and listen to them. See what makes them comfortable. You can usually experiment and find out the exact positions they are most comfortable with. It may be simple for some patients while others take time to find out what works best for them. I have had some patients use almost a dozen pillows all at once in order to get comfortable. Be patient. Every caregiver should want their patient to be as comfortable as possible. Repositioning can help make that happen. A more comfortable bed may also do wonders for them. This is a list of medical prefixes and suffixes. They are of Latin and Greek origin. If you are like me, medical terminology is very confusing and complicated. Caring for an elderly parent can feel like equal parts heavy responsibility and priceless gift of time spent with a loved one. I came across your webpage as researching for our OH&S team, In particular, researching SARA Stedys (we have about 40 in circulation in our facilities). Caregiverology.com is a participant in the Amazon Services LLC Associates Program, an affiliate advertising program designed to provide a means for sites to earn advertising fees by advertising and linking to amazon.com.